Appearance (0-20): And here we stand again, looking at another Gurkha. This is fairly appealing to the eye. The medium brown Connecticut wrapper has a few small seams and veins, but otherwise there are no issues. The band is another work of art, which includes resounding colors and embossing. There is also a secondary band to denote the Vintage 2001. Construction (0-20): The construction was very solid. I personally have never really had any issues with Gurkha construction, other than the occasional bad burn on a double perfecto. This lit up easily, burned even, and has a great ash. The ash was a tight coiling light gray, and held on for a little over 1.5 inches. The burn was cool down to the nub. The draw was smooth and easy, yet allowing the cigar to burn slow. Strength (0-20): Listed as a medium to full bodied smoke, I would say that the mark was missed. This review is based off of one stick, so perhaps after more smokes I will get a better feeling. 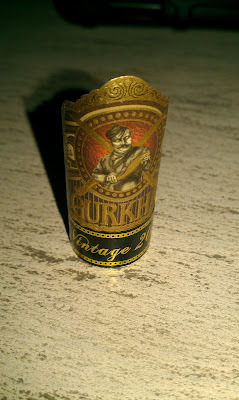 The smooth smoking Gurkha gave me a solid medium profile, and nothing over that. I was not disappointed by this, because upon initial impression that is what I was expecting. 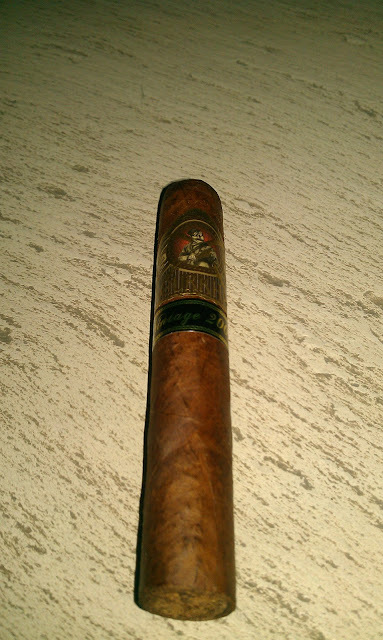 Flavor (0-20): I’ve smoked a lot of Gurkha cigars, and this is definitely in my top 3 tasting sticks right now. The flavors were so rich and smooth, the experience was great. From start to finish, you will get very strong notes of butter and cream. During the middle section of the smoke, there will occur hints of chocolate and espresso. Everything in the flavor profile was nicely done, and never once did I get a bitter draw. 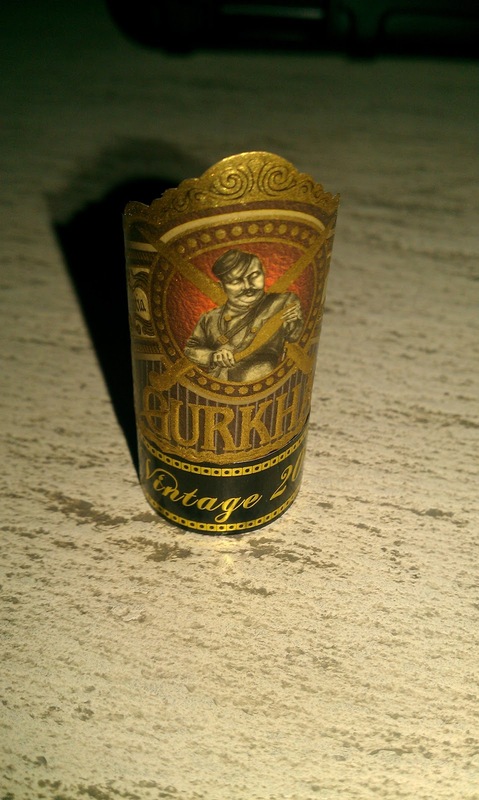 Well done with the flavor profile Gurkha. Value (0-20): One website lists $10.50 for a single stick, with another listing a 10-pack for $65.00. I will rate this value based off of the single stick price, but bear in mind that you can snag these for easily half on some websites. Coupling all of the categories together, I was pretty satisfied with the stick. $10 is too high, as you could choose from a plethora of cigars at the price range. For $6.50, it really is a good value. Points off for MSRP, but grab one at $6.50. Additional Notes: Smoked on the porch, paired with Blue Moon Valencia Amber Ale. Overall (0-100): I know there are a lot of Gurkha haters out there. Personally I enjoy certain cigars by them, but would never pay retail. If you are on the fence, I would urge you to find a decent sampler pack (which can drop the single stick price to about $3.00), and give them a second look. 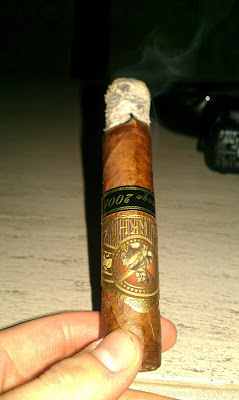 The whole cigar was quite a surprise for me, and left me with a very solid 1.5hr smoking experience. I am very curious to see how the next Vintage 2001 goes, and I will report by my findings. Sweet just got in a 5 pack of these from cigar bid @ $3 a stick. Can't wait to try them, great reviews! Youre probably right about the overall assessment but with the abundance of cigars out there i firmly believe you only get a few chances to market your brand properly before cigar smokers are turned off. Thanks for the review Ryan.